Metroid Speedrunning | Jesse Hecht C.R.E.A.T.I.V.E. The Metroid series of games focuses on running, jumping, and shooting your way through caverns and spaceships while finding items that help you open up new areas later on. You play as Samus Aran, a “Bounty Hunter” tasked to defeat the Space Pirates that plan to clone the deadly vampiric jellyfish-like Metroids and unleash them across the galaxy! 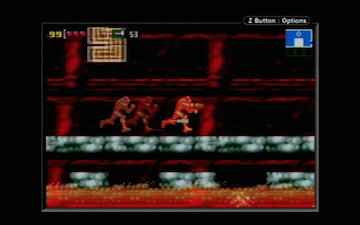 The series, while not super-critically-acclaimed, is well-loved by its fans and not only has it spawned its own gameplay style (affectionately called MetroidVania, borrowing from the similar Castlevania series’ gameplay), but it has become the roots for the biannual Games Done Quick marathons, with speedrunning (playing through a game as fast as possible) owing itself to the third game in the series, Super Metroid. This Let’s Play (people recording commentary over a video game) will be run by Zorglorfian, who claims to know how to get through every 2D Metroid game on its hardest setting (barring Super and Fusion that don’t have this setting, and Metroid: Other M, a game that no one actually wants to commit to memory). However, Zorglorfian is not the best speedrunner out there, so expect mistakes and resets abound. This allows for a focused, but fun playthrough that serves as a guide to one of the quicker ways to get through this game. Joining Zorglorfian are Metroid Veterans Sagacious and Lechtansi, two good guy goons from Something Awful that Zorglorfian met helping out Sagacious in his AM2R 100% Let’s Play (Apply Directly to the Forehead!). They both are familiar with the Metroid series and provide useful commentary and facts throughout these playthroughs. WHAT GAME ARE WE PLAYING NOW? 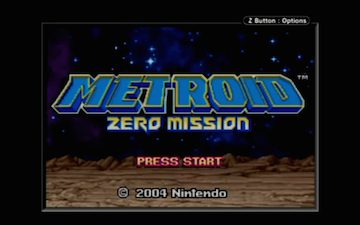 Metroid Zero Mission is the sixth game in the Metroid series. This details Samus’ first trip to Planet Zebes, home to a Space Pirate base. This game is also a remake of the first Metroid game for the NES and one of the first Metroid games to recognize speedrunning and low percent runs (playthroughs that focus on getting as little items as possible for a challenge). As a result, the movement is more fluid than ever, and people are still figuring out tricks to make their speedruns go faster and faster. Metroid Zero Mission is directed by Yoshio SakamotOH NO! (more on this later), produced by Takehiro Izushi, with updated, remixed NES music from Hirokazu ‘Hip’ Tanaka by series music veterans Kenji Yamamoto and Minako Hamano (SO MUCH RESPECT!!!). Episodes will be released weekly on Fridays. Hope you all enjoy this Let’s Speedrun and we hope to See You Next Mission. 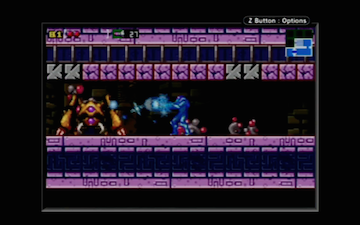 Next > Metroid Zero Mission Speedrunning Part 2!